In October 2012 Harry gained his national hunt license to venture out on his own, a decision influenced by the success of Rock on Ruby. He has been backed by former employer Richard Barber and the rest as they say is history as Harry's training career has been a huge success ever since. Increasing on previous number of wins and prize money won each season, Harry currently has 75 horses in training and has also recently gained a flat license. Besides gaining invaluable experience with Richard Barber and champion trainer Paul Nicholls, I asked Harry what else he felt was the key to his success and he was quick to point out that he has a great team behind him which includes his wife Ciara (who also played a big part in the success of Rock on Ruby). Assistant trainer and amateur rider Michael Legg has enjoyed plenty of success in the saddle on Harry's horses. Voix D'eau was a horse he rode to victory in a Grade 2 at Cheltenham's April meeting last year and rode two seconds at last seasons festival. Stable Jockey is Noel Fehily and Harry has conditional jockey Kieron Edgar based at his yard as well as two amateur's, Ben Godfrey and Martin McIntyre. Last season Harry sent out 54 winners and has recently matched that so is on schedule for his best season to date. Harry's yard holds a serious amount of horses that have lots of potential and I asked him about a handful of his main protagonists. 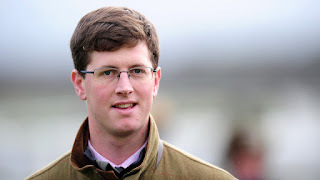 Although no immediate plans have been made, Harry is keen to send his Cheltenham team to either Punchestown or Aintree before the end of the season but will hold fire for a few more days before making a decision. Stable Star Unowhatimeanharry finished a gallant third in the Stayers Hurdle at the Festival on ground that Harry felt was slightly too fast for him. Although, as mentioned, Harry isn't making a decision just yet, he has come out of the race well and looked a million dollars Monday morning. The likely target will be Aintree for the Liverpool Stayers Hurdle unless Harry feels he wants more time and will therefore save him for Punchestown. He will probably stay over hurdles for the rest of his career but nothing is set in stone. It's a similar scenario for Neon Wolf who was an agonising second in the Neptune behind Willoughby Court. 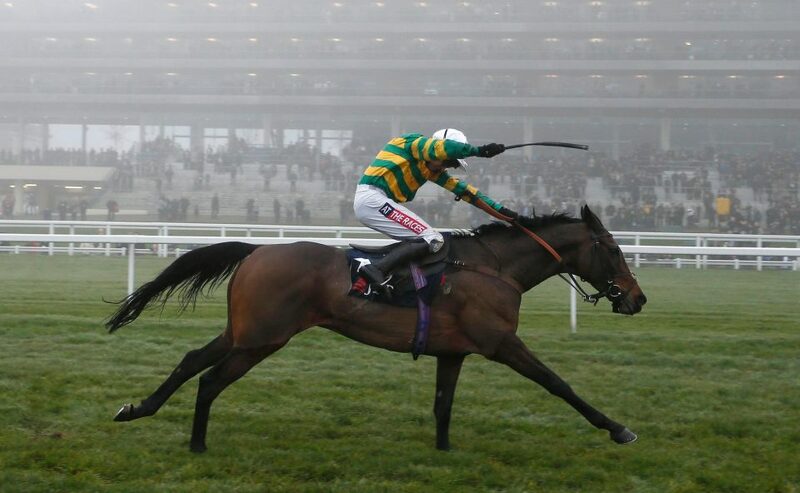 The ground would have been on the fast side for him too and Punchestown or Aintree is now on the agenda. He's a huge horse with plenty of scope and one thing for certain is that he will be jumping a fence next season and is sure to scale even greater heights in that sphere. Three times a winner this season, Air Horse One finished a close fourth in the County Hurdle where he was dropping back to 2m1f. Harry feels that a strong pace is the key for this horse and he's unlikely to run again this season. American skipped Cheltenham in favour of Uttoxeter last Saturday and duly obliged in impressive fashion. Soft ground is a must for him and the Ladbroke Gold Cup (previously the Hennessy) is the long-term target. He may head to Punchestown now all being well and he's a seven-year-old with a big future. She has remained consistent in listed chase races for mares this season and will now be put away for the rest of the season having finished second at Huntingdon behind Antarctica De Thaix. The same route will be the plan for next season with plenty of prize money up for grabs in those series of races. Won well at Taunton on Monday when stepping down in class having disappointed in a strong listed race at Huntingdon the time before. He will now be stepped back up in class and will either run at Aintree or at the Cheltenham April meeting a couple of weeks after. A thorough stayer who won at the Punchestown Festival last season. 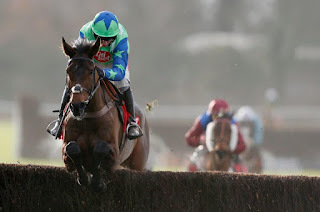 He will be skipping Aintree and Punchestown this year in favour of Fairyhouse in April for the Irish Grand National as Harry feels a right-handed track suits him best. He will certainly have an each-way chance in that race. She unfortunately picked up a small injury since finishing second at Newbury in April. She actually finished in front of Briery Queen that day but lost the race in the stewards room and that horse has franked the form since. Will next be seen in a maiden hurdle and remains with plenty of potential. Returned from a short break to land a Grade 3 Novices Handicap Hurdle, a race in which he was targeted at having finished second in a novice race at Plumpton. Has gone up 6lb in the handicap for that win and will now run in a similar race at Punchestown. Finished a disappointing fifth at Musselburgh in February but scoped dirty after that race so it's best to forgive him that run. Previously finished an unlucky second at Kempton in a competitive race off a mark of 124 and the form has worked out well. He looks potentially very well handicapped with a current mark of 125. Has been off for a while due to a couple of setbacks since finishing third on his first start over fences in November. 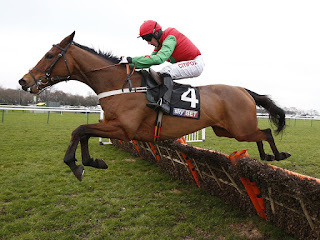 No immediate plans are in mind for him yet but will again run in a novice chase on his next start and has the potential to be a smart chaser if he can overcome his keenness. Made all to win on his bumper debut at Bangor but has been off since. Plenty of horses who ran in that race have gone on to win since. Has suffered a slight setback since that run and the plan is to go novice hurdling when he next runs. Finally, I asked Harry to name a couple of dark horses to follow in his yard and the two he gave were Bullionaire and Shall We Go Now. Bullionaire is declared to run in the Goffs UK Spring Sales Bumper at Newbury today and Harry likes them both a lot.